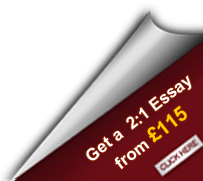 www.studyaidessays.co.uk (hereafter referred to as the 'Site') is a web site service operated by Deckchair Research Ltd., (herein “We”) that provides Agency Services. When ordering or registering on our site, as appropriate, you may be asked to enter your name,e-mail address, mailing address, phone number or credit card information. Note: If at any time you would like to unsubscribe from receiving future emails, please contact us at info@studyaidessays.co.uk.